Nervous about your wedding photos? Here are tips for natural photos! Do any of these sound familiar? Not to fear, these are all normal thoughts that many couples have. Most people haven’t had professional photos taken before and the idea of being in front of a camera can sometimes feel intimidating. I am going to offer a few tips and tricks for beautiful, natural photos on your wedding day! Choosing a wedding photographer that is the right fit for your day will put you at ease and you will be well on your way to beautiful wedding photos. A professional photographer who you genuinely connect with will help you feel comfortable and relaxed and this will be reflected in your photos. Engagement sessions are my favorite! By doing a photo session you will get comfortable in front of the camera. It is a wonderful oportunity to get to connect with your photographer and prep you for your wedding day photos. Some of the self-consciousness around having photos taken can be, in part, from the fear of the unknown. Engagement sessions are a wonderful way to disperse these fears and put you at ease for your big day! When it comes time for couples photos, doing them away from friends and family can help you relax and really get into each other. Having a little time just the two of you is priceless! Sometimes its those moments between poses where the two of you are genuinely having a laugh or sharing a moment can be the sweetest so truly enjoy each other on this amazing day! This simple advice is so important! Take a few deep breaths, enjoy your soulmate and bask in the moment! Hi! 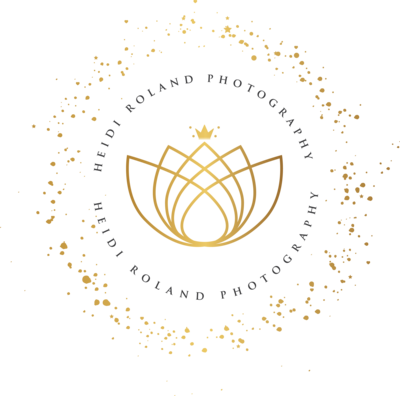 I’m Heidi Roland, a Philadelphia area Photographer specializing in fresh, natural and timeless photos. Contact me here to chat about your wedding and engagement photography !